Ministers on tour to promote Brexit deal. Although Parliament had the power to amend any Brexit deal, through the Grieve amendment, the significance of this vote cannot be understated, with many claiming that Parliament holds all the cards over the Brexit negotiations. It now appears ever more likely that Theresa May will lose the Parliamentary Vote on the Withdrawal Agreement, being held Tuesday 11th December. With defeat imminent, many MPs are urging her to postpone or cancel the vote, fearing that political chaos will ensue should it fail. Sir Graham Brady, the chairman of the 1922 Committee, broke cover to appeal for May to consider a delay to the vote on Tuesday to allow time for her to return to the EU to seek further concessions. Others, such as Philip Hammond and Brandon Lewis, are continuing to bang the drum for the deal in the meantime urging MPs to vote in favour of the deal on Tuesday. This is to prevent the Labour party tabling a vote of no-confidence, after Keir Starmer’s pledge on the Sky’s Sophy Ridge show. The Shadow Brexit Secretary argued that “it seems to me that if the Prime Minister has lost a vote of significance then there has to be a motion of confidence in the government.” Many MPs feel that the political disruption that could follow such a vote would only impact negatively and must be avoided. Article 50 is not a sufficient legal basis for the EU to complete such an agreement. If the UK tries to withdraw from this agreement once it is signed, it will be a violation of international law. There is danger of the backstop becoming indefinite as it recalls the commitment of the UK to protect North-South cooperation. The last point has been particularly damning for the Government, with the DUP increasing its objections to the withdrawal agreement. Many MPs have argued that the Prime Minister has misled Parliament and the public, stating points directly conflicting with the legal advice. The insight that this legal advice has provided has meant that is it even more unlikely that the deal will be passed on Tuesday. Three Conservative MPs, Hugo Swire, Richard Graham and Bob Niell, have put forward a proposal to hand Parliament the power to either extend the transition period or initiate the backstop. It was designed to give MPs a greater say over the Irish backstop and increase support in time for Tuesday’s vote. The DUP has already rejected this amendment, with Arlene Foster tweeting that “domestic legislative tinkering won’t cut it”. Commentators are also arguing that the it would have been difficult for the ERG to accept this amendment either, meaning that the Government’s concessions do not appear to be enough for the deal to pass through Parliament. 30 ministers from Government will visit every nation of the UK today in order to promote the Brexit deal and outline how it will benefit working people, families and employers. This appears to be a campaign process by the Government over increasing fears over the Parliamentary Vote. Ministers will meet with local people in their communities, schools, hospitals and employers in various industries. Ministers rolled out include Brexit Secretary Stephen Barclay, Chancellor Philip Hammond, Cabinet Office Minister David Lidington, Chief Secretary Liz Truss and Secretary of State for Scotland, David Mundell. It is telling that Penny Mordaunt is not involved in this venture, highlighting reported disaffection with the current deal. Theresa May is under increasing pressure from the DUP who have now threatened to withdraw their support for the Government if the Withdrawal Agreement passes through Parliament, leaving the Government without a Commons majority. A DUP source rejected suggestions that the party would have to back May because of its confidence-and-supply arrangement with the Tories. The likelihood of a minority Government has increased with Arlene Foster stating that she views May’s deal as a greater threat than a government led by Jeremy Corbyn, particularly with the publication of legal advice stating the possibility of an indefinite backstop. However, a silver lining has appeared with Nigel Dodds, Deputy Leader of the DUP, declaring that the party would support May if a no-confidence vote was called. Such a vote is expected if Tuesday’s vote fails, with Shadow Brexit Secretary Keir Starmer saying a confidence vote was ‘inevitable’ in such a circumstance. Downing Street has been blocked from making key announcements around immigration by the Home Office. Home Secretary, Sajid Javid, will use a speech in favour of the Brexit deal to announce new details around the immigration system “based on skills, not nationality” to benefit British workers. However, with a White Paper yet to be circulated amongst senior ministers, the Home Office will be unable to publish concrete details before the Parliamentary Vote, making it even more likely that the vote will not pass given uncertainty. In response to what is considered to be the worst rioting in Paris since 1968, French President, Emmanuel Macron has decided to freeze a planned 5% rise in petrol and diesel pump prices that were due to take effect on January 1st. In order to further appease the population, the Government has announced it will also suspend rises in domestic electricity and gas prices. Opposition leaders have argued that the concessions will not be enough to halt growing public anger at the President’s programme that is deemed to favour the well-off at the expense of low-income working households. The Belgian coalition government is fighting for survival after a split over the U.N. migration pact. The largest political party in the coalition, the New Flemish Alliance (N-VA), has declared that it will vote against signing an international migration agreement that sets out a ‘cooperative framework’ for dealing with international migrants between signatories. Constitutionally the Prime Minister will be unable to officially sign the U.N. pact without support of all coalition partners, despite an agreement at committee stage. If the N-VA were to leave the coalition over this agreement it would leave Prime Ministers Charles Michel without a majority in parliament and potentially trigger an early election in the new year. Other European countries, including Poland, Hungary, Italy and Austria have already pulled out of the agreement, with Denmark and the Netherlands struggling to give the agreement its full support. Migration issues have remained a prominent issue for EU states since the migration crisis of 2015. Romania’s ruling coalition lost four deputies and a government majority this week. This comes as Bucharest is set to receive EU’s rotating Presidency. The European Commission has accused Bucharest of failing to fight against corruption and has questioned whether it is ready to receive the EU Presidency. 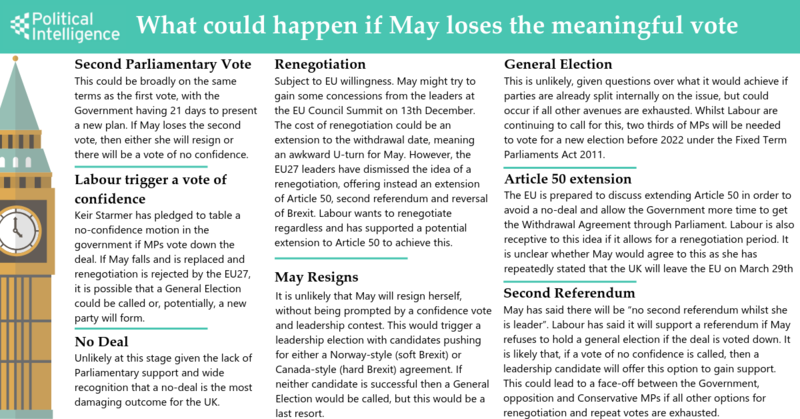 Part of its responsibilities during the period will be sealing agreement on several key policy issues before May’s European Parliament election as well as presiding over Britain’s departure from the EU. Romania’s EU Affairs Minister George Ciamba argued that domestic political turbulence should be viewed separately from preparations for the Council presidency. The EU Commission President Jean-Claude Juncker supported this statement, however, did state that the Presidency will be easier for Romania if the rule of law and fight against corruption is extended.